I have seen many offices transition from traditional paper charts to a completely chartless and/or paperless environment over the years. The best part of making this switch is the increase of efficiencies evident throughout the office. Eaglesoft offers many features to help an office ditch charts and improve efficiencies. One of those features is SmartDoc. SmartDoc is a dynamic document manager that saves all of your documents digitally. When I work with offices, I tend to use the word “chartless” more often than “paperless” because in reality, chartless is a more realistic goal. Most offices still have some paper to deal with and when you do, you can scan them into SmartDoc and create a digital record. Not only can you scan documents into SmartDoc for digital filing, Eaglesoft allows you to set preferences that will automatically create a digital file of documents created in Eaglesoft (i.e., treatment plan, letter or report). With a traditional paper chart, you have to print out a treatment plan, have the patient sign it, make a photocopy, give one to the patient and file one in the chart. Such a hassle! With Eaglesoft and SmartDoc, the process of printing the treatment plan will automatically create a copy of that plan and store it in SmartDoc. Each patient has their own SmartDoc but so does each provider and staff member, each insurance company, each lab and there is even a practice SmartDoc. Think of the possibilities! I’m sure you have a few filing cabinets you’d rather not have to deal with. By scanning the documents into SmartDoc, you are freeing space, tidying up the office and storing the documents digitally for easier access to them when you need them. 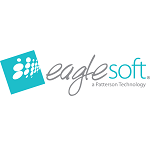 Eaglesoft allows you to create folders for your documents and each document is stored chronologically in that folder. Finding documents has never been easier! Take it a step further and start asking your business partners if they can email you documents. That way, scanning isn’t even necessary as documents can be imported directly into SmartDoc. Many paperless offices I work with rely on SmartDoc to store things like insurance EOBs, fee schedules, material safety data sheets (MSDS), employee identification and certifications, to name a few. As I mentioned before, the possibilities are endless. At Patterson Dental, we are truly committed to the patient experience and practice lifestyle; we want to give your practice the tools to get rid of paper charts in the most efficient manner. If you need help getting started with SmartDoc, please visit our FAQ page and search “SmartDoc” or call one of our friendly support team members today at 800.475.5036. Employers need a Smart Doc too!! Thank you so much for the feedback! I agree with you and would love to see this option available with a future update. We recently moved to a new office and our scanner and Eaglesoft are not compatible with Windows 7. Which scanner works best with Eaglesoft/Smartdocs? Or, you can call Eaglesoft support at 1-800-475-5036 and they would be happy to help. Is there a way to highlight portions of a chart write up in eaglesoft? Also is there a way to create a document on eaglesoft that can be edited each visit? We currently use a form to track invisalign aligner insertion dates and other invisalign info and milestones for each aligner number but we’ve gone chartless. Presently we’ve decided to use the same form and keep it in the pts invisalign box until tx is complete. Any paperless ideas? Thank you for the comment. I will do my best to answer your questions here but please feel free to contact support if you have any further questions. Eaglesoft gives you the ability to color code chart notes and that’s how we would be able to ‘highlight’ certain items. For example, if you want to highlight all hygiene notes, you could make those purple. This is what most providers choose to do. You can either change the color prior to typing/saving your note or set the color in the auto notes listing so your important notes always default to the correct color. As far as creating a document that can be edited at each visit, I suggest using a custom SmartDoc for this. You can create a Word doc blank template that can be pulled up on any patient and filled in accordingly. I suggest a Word doc because it can be easily customized w/checkboxes, drop-down lists, etc. to duplicate the form you are using now. Just create the form outside of Eaglesoft, import into SmartDoc and go to File/Save as Letter. This will save the blank form to SmartDoc and you can pull it up anytime, for any patient by opening up the SmartDoc letters. Fill in the necessary info. and then save it to that patient. As per online eaglesoft documentation, there is only one scanner which can do multipage scanning using ADF. This is very restrictive part of the eaglesoft 17 or may be just list has not been updated yet. Appreciate if you can send us updated list of scanner which can be used for scanning multiple pages using ADF. If the doctor diagnosed a filling on a tooth, and the patient didn’t have the filling done, and now the tooth needs to be extracted, how do we prevent any liability issues when cleaning up treatment plans in our database? Great question! My recommendation is to change the status on the filling from ‘proposed’ to ‘rejected’. This way, you still have record that the tx. was offered but rejected by the patient. Rejected tx. can be filtered off your reports but still remain searchable in the database. For more details on liability, please reach out to your state dental board.